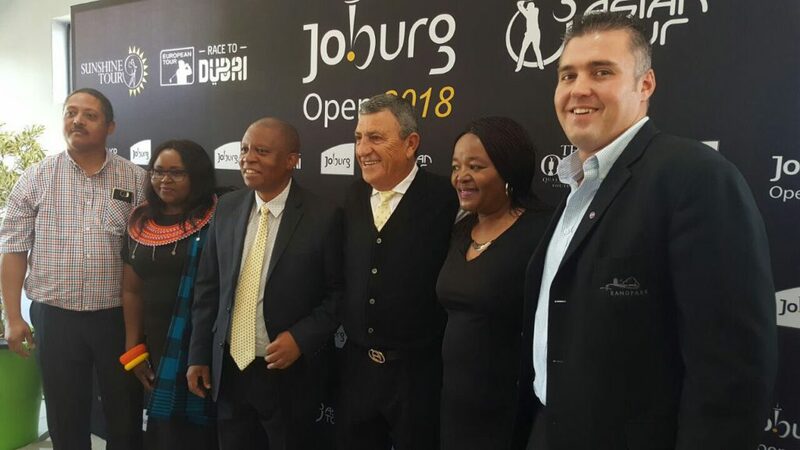 Randpark Golf Club has been chosen to host the prestigious Joburg Open golf tournament that will see several international players participating in the biggest annual professional golf event in Africa from 7 to 10 December 2017. This historic tournament, with R16.5 million in prize money, will be the first tri-sanctioned golf tournament on South African soil. Mellett Hendrikse, golf director, welcomed the announcement of Herman Mashaba, mayor of Johannesburg, that the club has been chosen as host. “Randpark Golf Club has a good reputation as a championship course, which was proven two decades ago when the SA Open was held here. This time we will use the opportunity to learn from the expectations of professional players as well as professional tournament directors to enhance the playing experience at our courses,” he says. The Joburg Open is part of the European, Asian and Sunshine Tours and is one of four South African events on the European Tour schedule. The tournament was held for the first time in 2007. So far only three players from other countries have won the Joburg Open. It has the largest field on both tours with 240 professionals, including 30 Asian Tour members, four amateur invites, with the remainder shared between the European and Sunshine Tours. Former Open champion, Louis Oosthuizen, has already confirmed that he will play. “I’m very excited to be supporting the growth of what is one of the premier tournaments in world golf. I’m a proud winner on all three Tours and look forward to playing in Johannesburg again,” he said. Where does one book tickets? I am just waiting for the information regarding the purchase of tickets. I will let you know as soon as possible. The ticket price is R80 today and R100 tomorrow and Sunday. You can buy online or at the gate. You can purchase tickets through TicketPros http://www.ticketpros.co.za/portal/web/index.php/parent_event/ed03391f-b420-be81-866c-59c4a326f934%20 or if you are interested in purchasing VIP Hospitality tickets visit https://www.randpark.co.za/wp-content/uploads/2017/11/Joburg-Open-2018-VIP-Hospitality-Booking-Form.pdf for more information. Congratulations to have been choosen to host South African open. Many thanks – we are honoured to have been chosen to host the Joburg Open. We look forward to welcoming you and your Swedish friends back to play our beautiful courses in January. Congrats on being the host of the Joburg Open. When will the courses be closing to the public in preparation for the Joburg Open? The courses will be closed as of 3 December. Preparation will start on 14 November already. The public parking is at Arend Park in Arend Avenue. Can I bring my own refreshments that include snacks and non-alcoholic drinks? What time do the gates open for ticket holders? It is already open as the first players started at 09:00 this morning. Can we bring in our own refreshments and snacks? If so, does this include alcoholic beverages? You can bring your own refreshments and snacks but no alcoholic beverages.